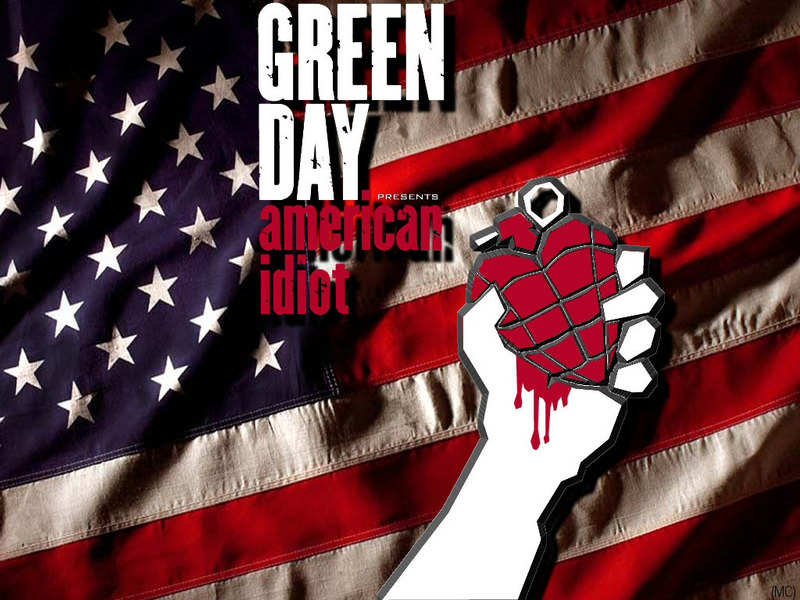 Green day American Idiot WP. This is a desktop wallpaper image featuring American Idiot from Green Day.. HD Wallpaper and background images in the Green Day club tagged: green day mike dirnt tre cool billie joe armstrong pop punk fan art wallpapers computers images american idiot. This is a desktop wallpaper image featuring American Idiot from Green Day.